​Radio travels all ways at once. It is both a natural phenomenon and a human technology; the original mass media and perhaps the most intimate media. It has been an instrument of research, a weapon of war and a source of entertainment—a luxury and a fixture, a career and hobby, an online app and a piece of furniture. Radio Contact explores the diverse experiences of radio through the words of those who have lived them: announcers, producers, engineers, listeners, developers, researchers and more. And while the stories begin in Boston, they travel much farther—radiating out in all directions at once. Hear them all at radiocontact.org. My tenth annual Christmas-ish album. It’s hard to believe I’ve kept up this odd and time-consuming end-of-year ritual for so long, but here it is. Some old themes and rhyme schemes, and a few new ones. Something about this year made me feel my grown-up-ness. Maybe you are feeling it too. Either way, enjoy. Happy Holidays. 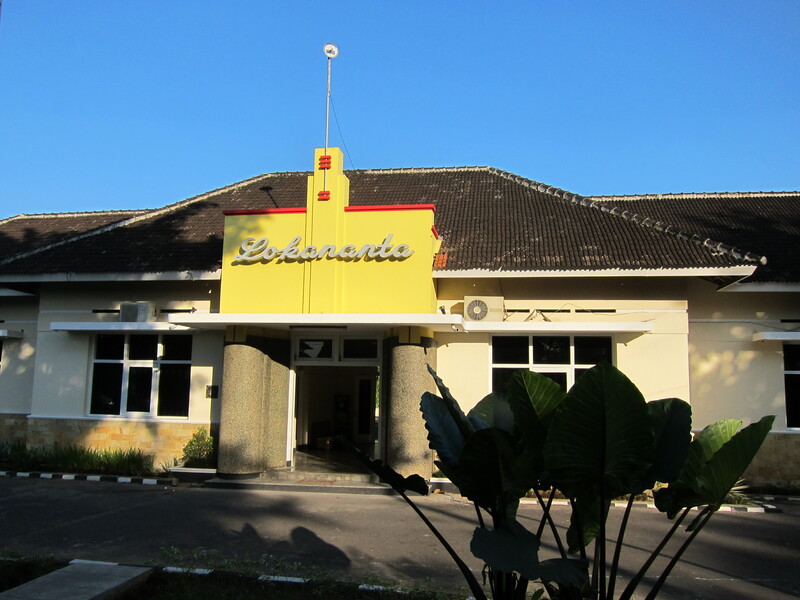 Meet Lokananta, the national record company of Indonesia. I was there this spring, and totally surprised to find out what kinds of music they are producing these days…I’ll give you a hint, it’s not just gamelan. If you’re curious, I just wrote a blog post for Sounding Out! on the company’s long and winding story. Read it here. This piece grew out of a 4-month ethnography project I conducted on the significance of Internet Radio in Boston’s Ugandan community and the diaspora globally. The greater Boston area, specifically Waltham, is home to thousands of ethnic Ugandans drawn to the city for education and work. 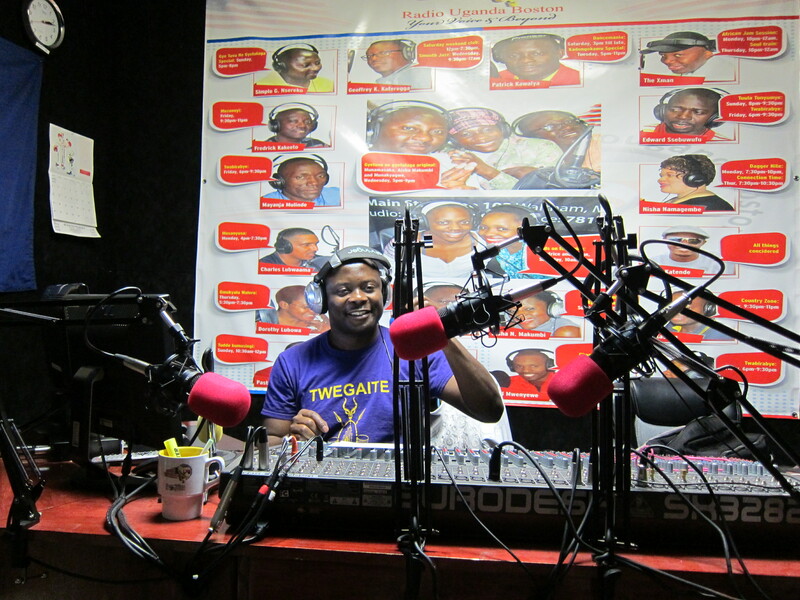 In 2009, a group of those immigrants founded Radio Uganda Boston, an Internet Radio station featuring a variety of news, music, and conversation. The technology proved difficult for some–one of the founders, Rob Kafeero, told me that he sometimes had to visit the homes of older listeners to show them how to access the online stream. But for other Ugandan emigres, especially those outside Boston, the Internet station was a perfect means to stay connected with their native country and culture. Kadongo Kamu is a powerful symbol of that culture, and the phone line at the station lights up with requests when the music comes on the air. If you enjoy what you hear in the podcast, I encourage you to check out DJ Paddy’s weekly Kadongo Kamu Special, Tuesdays at 5pm at radiougandaboston.com. You might not understand what the host and callers are talking about, but you can appreciate the music and hopefully get a sense of how important it is for the station’s dispersed audience. 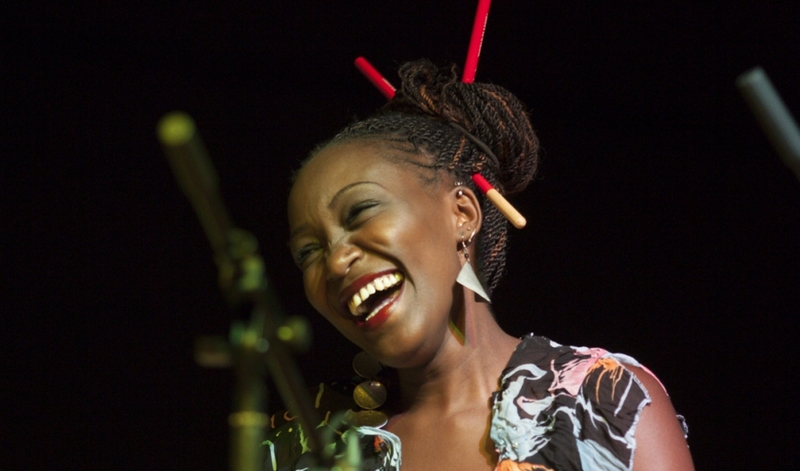 My profile of Kenyan percussionist Kasiva Mutua is now up on PRI’s The World. Kasiva is a natural story-teller, so we decided to do the piece using only her voice: hours of interviews and concert recordings edited down to a 4-minute monologue. Many thanks to The Nile Project and KALW’s Julie Caine for making it possible. And a special thanks to host Marco Werman for getting my name right–I feel like I’ve been getting a lot of “Ian Cross” these days. On Bali’s north coast the shadow play, or wayang, is in high demand as part of a blessing ceremony for children in their third month of life. In the week I spent with puppeteer Dalang Ketut Merta he performed almost every night, sometimes twice in a row in different villages. But don’t think that just because the wayang is sacred it has to be serious. Merta’s performances are a raucous and raunchy affair where fart jokes, giant penises and Japanese pop songs mix with dragons and gods in tales from the Hindu epics. By pleasing as it does both a divine and human audience, the wayang has managed to stay relevant here despite the ubiquitous presence of television and internet. Merta told me that the crowds have dwindled somewhat, yet in his thirty-five year career he has never had more than a few days off in a row. For him and his crew—two musicians and an assistant—this is a well-worn routine. The puppeteer and his crew set out at dusk: four people, a box of puppets, an oil lamp, an amplifier, and two metallophone instruments piled into a 30-year old van that roars and coughs up the steep mountain roads. The stage is constructed anew each night using bamboo and banana logs. The family hosting the show also sets up a temporary pavilion for the audience. The show opens with the tree of life puppet alone on the screen. The musicians play an instrumental overture that gives the puppeteer a chance to organize his puppets. 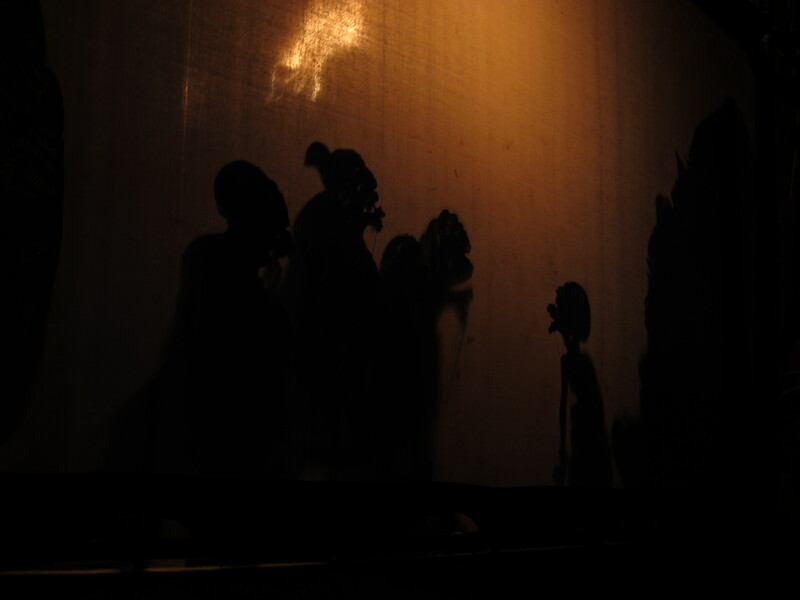 The puppeteer, known as a dalang, controls all the puppets and does all their voices, while the coconut oil lamp casts shadows that wave and flicker with life. Balinese puppetry mixes characters from the Hindu epics such as Bima (right), who speak in an ancient poetic language, and indigenous characters like Tualen (left) that speak in colloquial Balinese. A female character dances seductively. Puppets not used in the performance are set at the edges of the screen to frame the action of the play. The two musicians, Windhu and Komang, are father and son. The music they play is specifically for shadow plays and unique to this region, known only by a handful of specialized musicians. Many children opt to watch the wayang from behind the screen to see the puppeteer at work. An assistant sits just behind the dalang, passing him puppets and fanning his back. A clown character entertains with a song. The show is in a private home, but it may draw viewers from the entire village. The puppeteer is also a priest. At the end of the show he uses his puppets to make holy water to bless a child. He is surrounded by offerings, and holds the Shiva puppet to his head before using it to mix the water with a few drops of oil from his lamp. The child is showered in water and flowers, rice pressed to his temples and forehead, and a length of string placed on his head. The dalang gives the mother instructions for completing the ceremony. The dalang rests after a long performance. When he was young he would perform up to five or six times a night, returning home at dawn. Now he will only do two shows a day. When he is ready to retire, one of his sons will take his place.